To begin, Washington was the only state I had not visited in the west. So I jumped at the chance to work there. As many of you already know I signed up for the job last January while visiting the annual RV Show in Quartzsite. I just happened upon the Hoodoo booth, since at the time I was not really looking for a job. After talking to Rob (who turned out to be my boss) I was offered the job at Panorama Point on Baker Lake in Northwest Washington. We went over the pay and job duties and I signed up with them. The whole process took about 15 minutes. Then I had the whole winter to prepare for the journey north. The first thing I did was NOT work but spend time with my friends for a few months. I also took the time to go to Algadones, MX for dental work. Then it was off to see my family over the holidays, before heading north to WA. When I arrived in the campground it was pouring rain and didn’t stop raining for several days. I hoped I didn’t make a mistake and come to a climate that continually rained. However the rain did stop eventually and the weather was a bit chilly but very nice. The summer turned out to be fantastic. It did rain a bit but nothing really bad until August when it poured and poured. I parked my rig in a nice spot in the Panorama Point campground. We had to drive 100 miles to orientation and then the campgrounds officially opened up on Memorial Day. 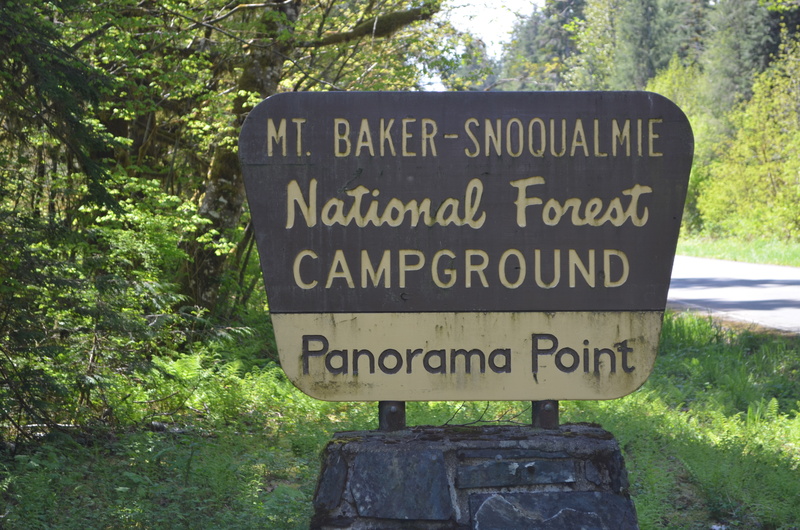 The campgrounds I was responsible for were Panorama Point, Boulder Creek and Shannon Creek. Panorama Point has 16 campsite including the host site. Many considered it to be one of the nicest of all the Baker Lake campgrounds. I ran into many people who returned there year after year. I even spoke with one man who’s father had brought their family to Panorama Point when he was eight years old and he had been coming back there every year since. He is not 62. WOW! Boulder Creek is a small 10 site campground located on Boulder Creek. It doesn’t have any direct access to Baker Lake. It was located a mile from Panorama Point. That is Mt Baker in the background. 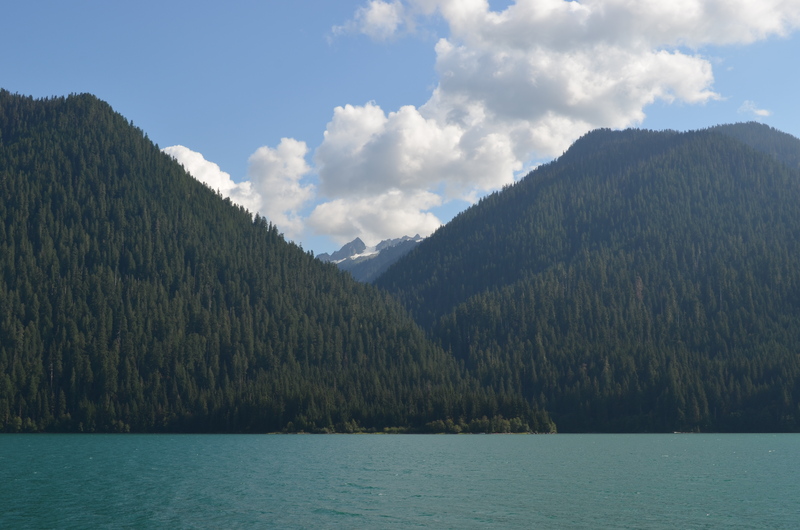 Finally Shannon Creek is a 20 campsite campground at the very northern end of Baker Lake. It is located 5 miles from Panorama Point. It is also down 3 miles of gravel road. 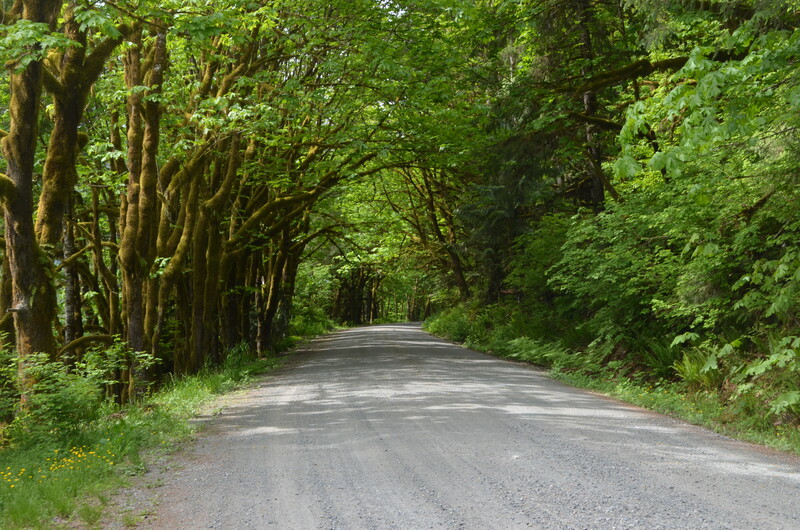 This is the view I have twice a day on my way to Shannon Creek. This is a view from the beach at Shannon Creek. 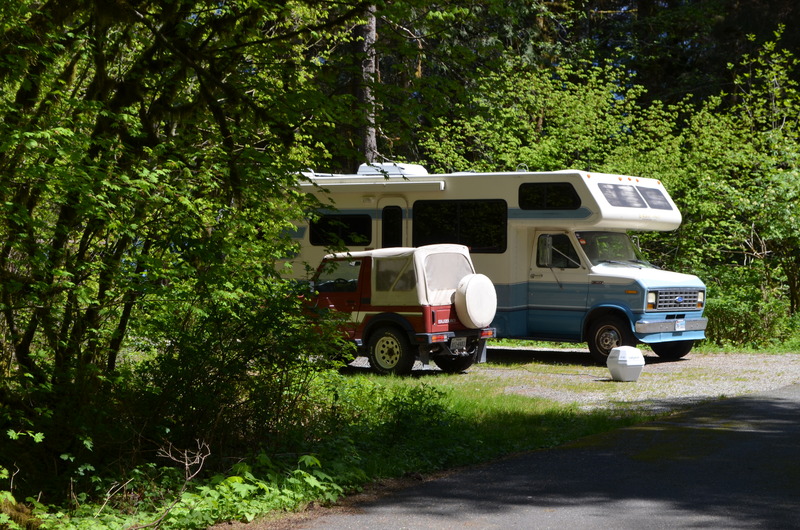 Many campers would park their cars at Shannon Creek and boat over to the other side where there were several dispersed campgrounds. Most of the campsites are small and perfect for tent camping, but there are also many RV type campsites, especially down by the lake. I had to make the rounds of all three campgrounds twice a day taking the money from the posts, writing receipts, cleaning pit toilets, firepits and campsites. I also had to charge campers for extra vehicles and sell firewood. It kept me busy most of the day. Each camp host was assigned 2 consecutive days off where we were on our own to do what we pleased. That was GREAT! We still had to deal with campers that came to our door, but we could leave the campgrounds completely as I mentioned in previous posts. However we had to fill in for camp hosts when they had their days off. It made for a long day, but that was only 2 days a week and the days off made up for it. Each camp host was supplied with a company truck and all the equipment that was needed. We also had a cage that was filled with firewood for sale. If we needed anything at all Hoodoo supplied it for us. Hoodoo has a crew that performs all the maintenance. That includes lawn cutting and weed eating. They also did all the repairs on the campgrounds whenever needed. It sure made or life easier. You bet!! All the camp hosts on Baker Lake were invited to return the following summer at our final camp host meeting. I am hoping to get the same campgrounds. It was a great job and the pay was good. I was able to save some money while also visiting much of the surrounding area. Washington is a very beautiful state. It was GREEN from the day I got there until the day I left. This entry was posted in Boulder Creek Campground, Panorama Point, Quartzsite, Shannon Creek Campground, Summer Camp Host, Washington, Weather, Workamping and tagged Boulder Creek Campground, camp host, Panorama Point Campground, Shannon Creek Campground, Washington, Workkamping by Jim Melvin. Bookmark the permalink. I’m seriously green with envy Jim. The NW corner of Washington State is my most fav area of the country. Maybe we’ll be back up in that area next summer. If so, and you’re there we’ll come visit. I’m surprised you made no mention of the lack of, or low signal, for cell service. Do you think it would be too much for a single woman (Grandmother)? I think that you could do most everything but the main problem might be lifting the garbage out of the bear bins and into the dumpsters. Some of them got very heavy with lots of bottles and cans. Glad it all worked out well and you had a great experience. It’s a lovely spot and they’ll be lucky to have you back again next year! Glad you found a fun gig, looks wonderful there, going on my list! Thanks Jim! 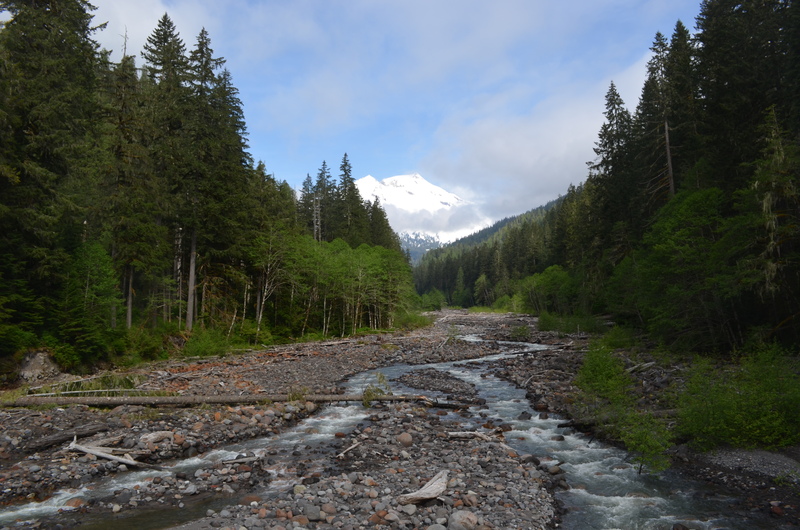 I never did get to the Hot Springs although I drove the road to the left of it FR 1131 up to Mt Baker. Maybe next year. You know the entire coastal area of Washington State is KNOWN to be a rainy spot. After all they host the only rain forest of the northern hemisphere. I guess you were lucky that it didn’t rain much through the entire summer. Good experience for you again. We will not go south the coming winter as I have work in Alberta with bus driving. Hope to cross paths again at a later time. I knew it was going to be rainy, but we were located inland from the coast. The weather was really great in July. I will miss you guys this year. I am sure we will cross paths at another time. So glad you enjoyed your time at Baker Lake. It was a super nice summer overall. The green moss on the sign is indicative of just how much it rains here in the Northwet. Your photos are gorgeous! Folks here never plan around the weather–you’d never do anything. We just do what we want to do when we want to do it & always carry a jacket. If you’re back in the Mount Baker next year & would like to pick some berries, there’s a nice little farm on the highway toward Bellingham. We picked really nice raspberries & marionberries there–it’s called Shumway Farms and as you’re headed toward Bellingham, it’s on the left. Marionberries are delicious in a crisp or cobbler–with a bit of vanilla ice cream…heaven on a plate! Out of curiosity, what was the pay?